America's fireboat John D. McKean becomes a landmark for the people. 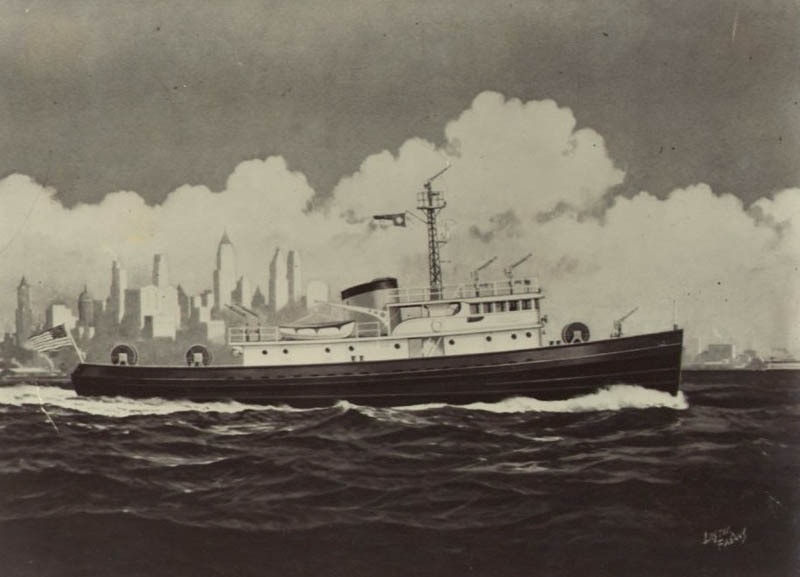 John D. McKean is a fireboat that served the New York City Fire Department as Marine Company 1. 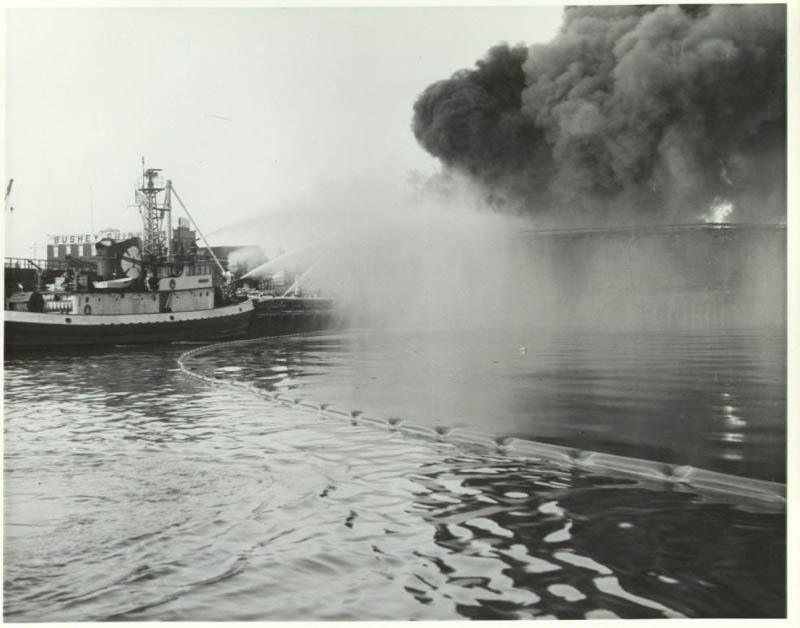 Named in memory of Marine Engineer John D. Mckean, who was burned by live steam on September 17, 1953 in an explosion on the George B. McCellan. This boat wen into service in 1955 at the cost of $1,426,000. During its many years of service, Its on-duty crew consists of an officer, pilot, two engineers, one marine wiper and two firefighters.It is capable of a speed of approximately 14 mph and has a pumping capacity of 19,00gallons per minute. There are four manually operated monitors, one electrically operated tower monitor - approximately 50 feet above the water - and one five-inch bow monitor. The McKean is equipped with two manifolds, each equipped with eight 3 1/2” outlets, through which water is supplied. A foam supply of approximately 500 gallons of three percent foam is carried onboard. Besides normal firefighting tools, Marine 1 also carries oxyacetylene torches, chain saws, pneumatic hammers with chisels and bits and supplies electricity through its diesel-driven generators. John D. McKean is now a museum ship owned and operated by the non-profit Fireboat McKean Preservation Project. She is available for private tours. Help the McKean by volunteering, making a donation, or coming by and learning more about the ship and maritime history.